More than 30 hair and beauty businesses from the north-east have been shortlisted for a national industry awards ceremony. The companies, which range from as far south as Stonehaven to Peterhead in the north, have been nominated for the The Scottish Hair and Beauty Awards 2018. The awards, which celebrate the dedication of talented professionals in the hair and beauty industry, will take place on Sunday at the Crowne Plaza Glasgow Hotel in Glasgow. Ruby Tuesday Hair and Beauty salon received the most shortlistings in the north-east and is up for five awards. Numerous beauticians, hairstylists, freelancers, nail technicians, masseuses, stylists and barbers, as well as their teams and salons will be honoured across 17 categories during the glitzy awards ceremony. A Scottish Hair and Beauty Awards 2018 spokesman said: “These awards have become a stable event over the years and endeavor to showcase those who have shown great commitment, professionalism, creativity and care for the client. 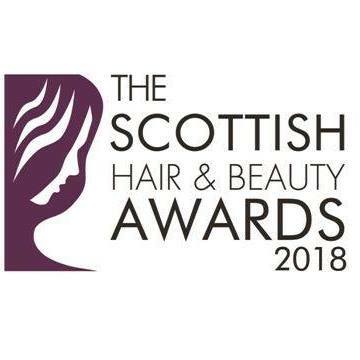 “The Scottish Hair and Beauty Awards 2018 also celebrate and remark the strong presence, profitability and contributions of the hair and beauty industry to the national revenue. We aim to provide a platform to thank and appreciate the work of excellent professionals who often don’t get the recognition they deserve. See which business from the north-east were nominated for the awards below and click here to see a list of all nominees.